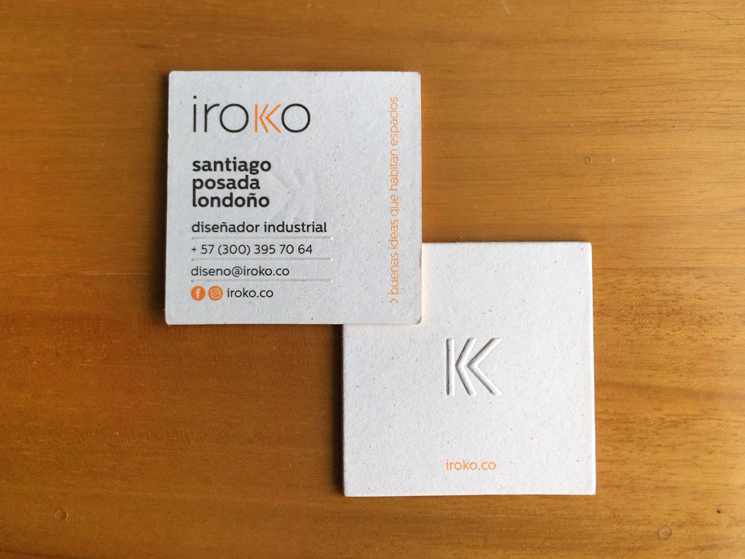 Hobby Branding Studio designed these business cards for Iroko, a furniture design studio located in Medellín, Colombia. “Iroko specializes in custom furniture designs that made with different materials, with wood as the protagonist,” said Sebastián‎, the Creative Director of the studio.  Their business cards look thick and trendy, and it was a two color print job – black and orange – by Digital Express. “Two types of paper stock were used here: Crush Corn Maiz 250 gr (white) and Burano Luce Giallo Gold 250 gr (orange). Both materials were ‘sandwiched’ to achieve the orange colour in the middle, and on both sides of the card. Blind embossed was applied to the card, giving that high relief texture,” Sebastián added. 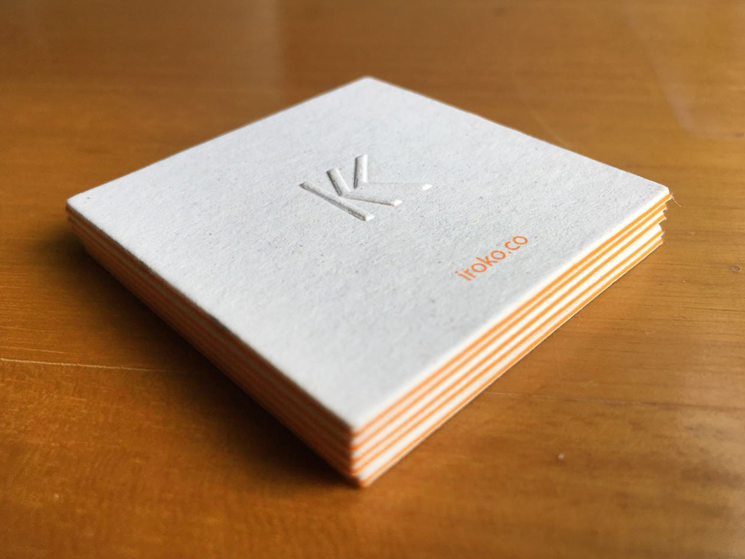 These 5 x 5 cm square-cut business cards are unique, and will definitely make a lasting impression to those who’ve seen them.